In the 30 years since Don Lewis first began raising bees for local honey (hence the name Wild Hive Farm), his commitment to reviving grains and promoting sustainable agriculture has helped reshape the future of local grain-based agriculture in America. Lewis is dedicated to working with local farmers to grow heirloom grains including heirloom varieties such as emmer, red fife, and einkorn – thereby encouraging diversity and innovation. 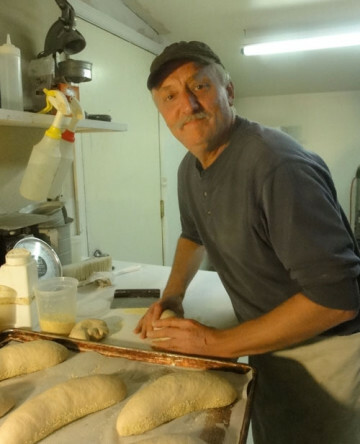 His high-quality whole grain, flour and legume products have earned him a loyal following from New York City’s leading chefs, bakers, restaurants and home cooks. The impact of Wild Hive’s operations in the region is extensive. Lewis’ project has provided much-needed infrastructure for grain farmers to clean, de-hull and grind their grains. When people buy from Wild Hive Farm they are participating in a sustainable grain based system that provides locally sourced, non-GMO, traditional grains from the surrounding region. Minimizing transit time and distance helps preserve the grains’ full characteristics, bringing home and professional cooks fresh, delicious flours coupled with the unique flavor of the land where they grow.